Recruitment and staffing software for fast-growing firms. 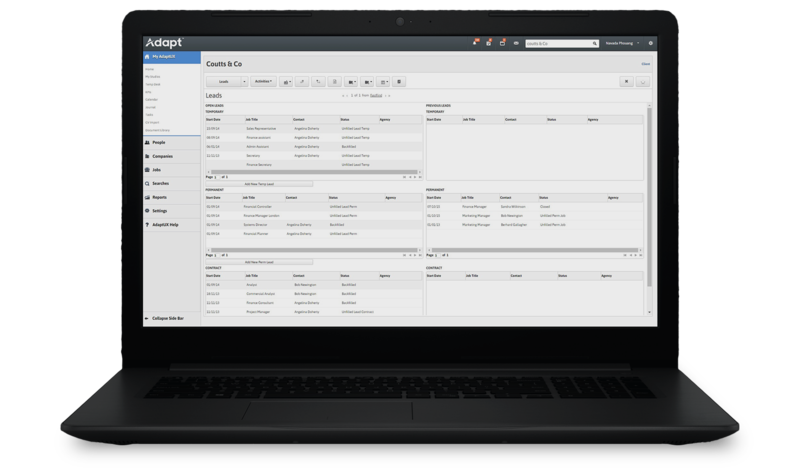 Achieve efficiencies and enhance cross-company collaboration with Adapt’s staffing and recruitment software that ensures your firm will succeed, grow and expand beyond expectations. An intuitive and powerful solution for scaling and fast-growing staffing firms. Excel at what you do best – putting people to work. More placements. More time for the human touch. Grow profitably by maximising productivity. Grow and expand beyond your expectations.